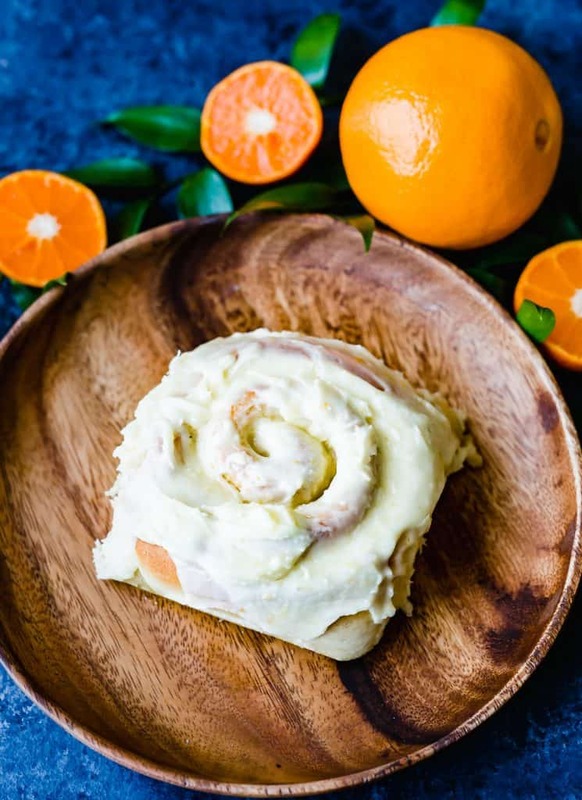 This Easy Homemade Orange Sweet Rolls recipe will quickly become a family favorite! These orange rolls are soft, thick, and ultra fluffy. 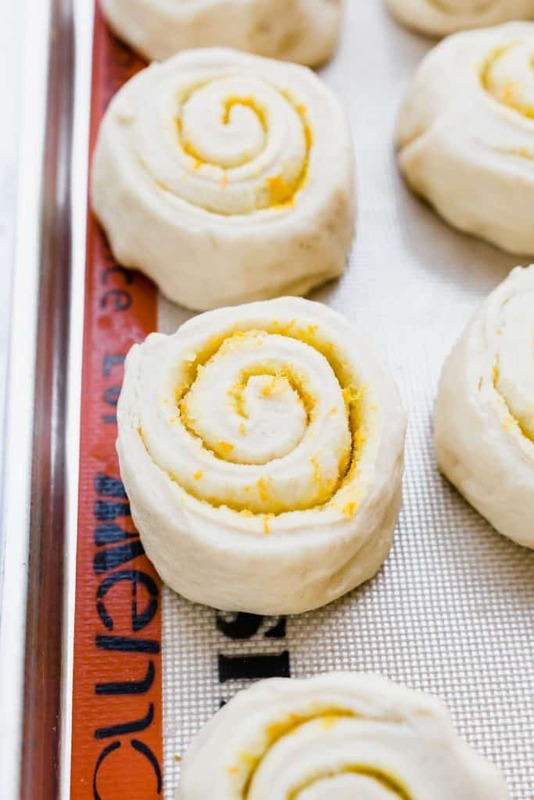 You’ll be pleasantly surprised by how quickly these orange sweet rolls come together. 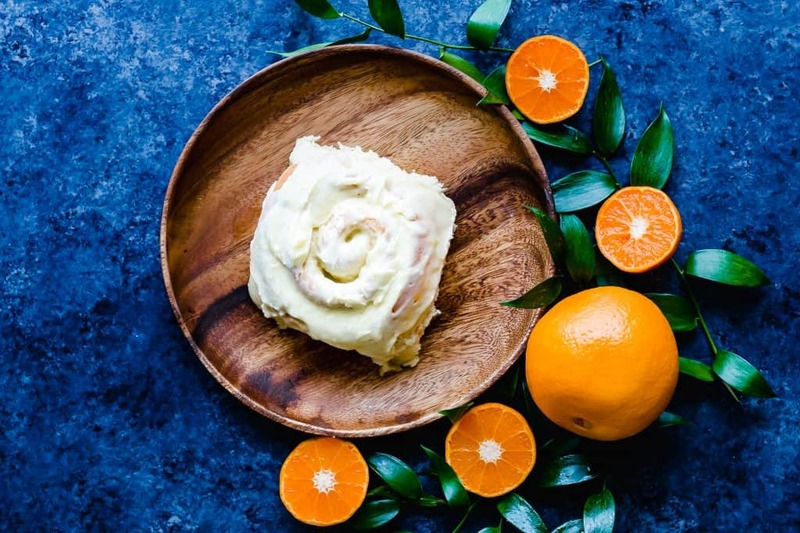 I have been making orange rolls for years! It’s tradition in our house to have orange rolls Easter morning and we look forward to it every year. When I say, “Orange Sweet Rolls,” I mean ORANGE SWEET ROLLS! These sweet rolls have orange zest and orange juice in the filling AND the frosting! For this batch, my husband requested a lot of frosting. So I did just that. I made a lot of frosting. 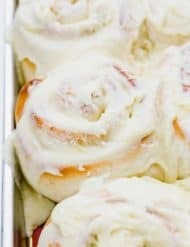 I always frost my cinnamon rolls and orange rolls while they are warm. 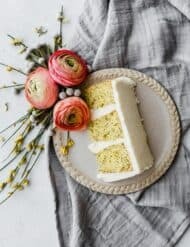 If you do this, the frosting will seep into the nooks and cracks of the orange roll so that you have a generous amount of frosting in every bite! What makes this orange sweet rolls recipe better than others? 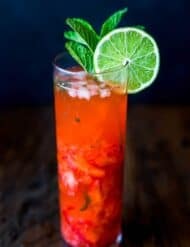 This recipe doesn’t take all day! Because this sweet roll dough has at least 2 tablespoons of yeast, the dough rises fairly quickly. You don’t need to sit around waiting for the dough to rise. The orange filling is perfection. Perfect ratios of sugar, orange zest, and orange juice give these rolls the a solid *punch* of orange flavor. I’ve made these rolls so many times! What you see here is the perfected recipe. 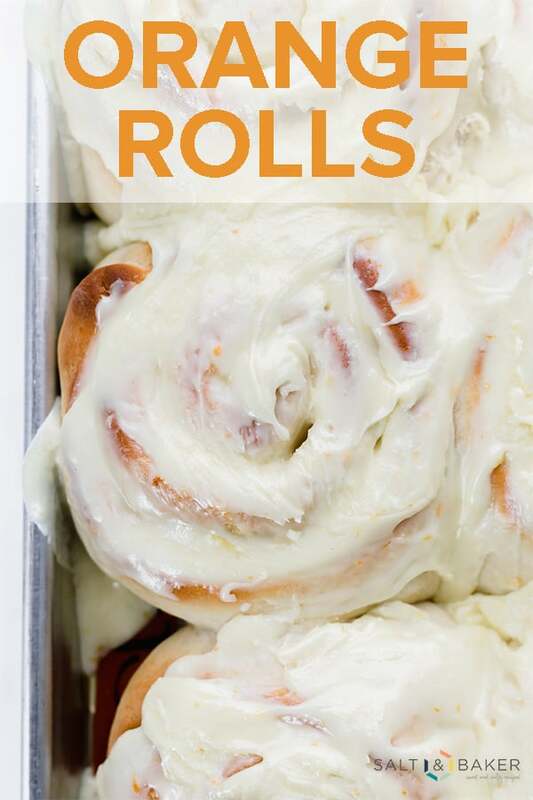 To make these orange rolls you’ll need pantry basics such as flour, sugar, yeast, salt. 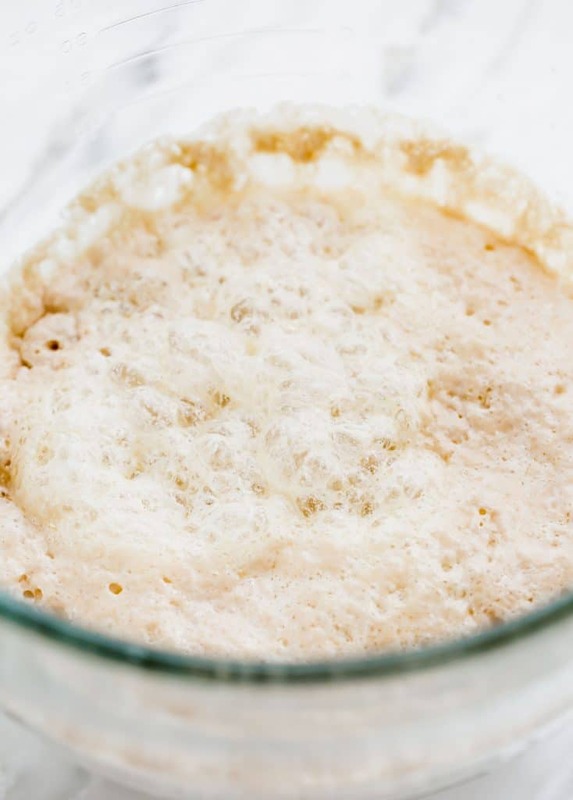 This dough recipe calls for buttermilk. I always have buttermilk in my fridge! We make Homemade Buttermilk Pancakes weekly. My son can’t get enough of them. 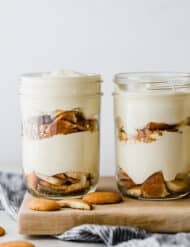 I realize buttermilk isn’t a common kitchen staple, but I recommend you purchase buttermilk for this recipe. 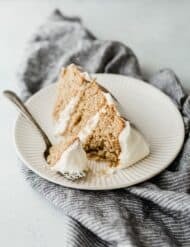 I never use buttermilk substitutes, the real stuff tastes too darn good ? Once you have the dough ready to go, grab the ingredients for the orange filling. You’ll need sugar, orange zest, and a small amount of orange juice. Lightly spray a clean work surface with nonstick cooking spray. I read this tip from Your Home Based Mom, and I’ve been using it whenever I make rolls/cinnamon rolls. Roll the prepared dough into a square/rectangle. Smear softened butter over the dough’s surface area. I LOVE using softened butter! Most sweet roll recipes use melted butter. Have you ever noticed when you use melted butter, the butter tends to seep out all over the pan as soon as you place the spiraled sweet rolls on it? Using softened butter will prevent this from happening. Now to be patient. Let the rolls rise for 20 minutes, they should expand a fair amount during this time. Bake until golden brown. 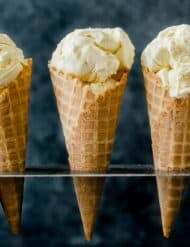 Slather a generous amount of frosting overtop each roll and devour! These orange rolls are the best! My family goes crazy for them! In the meantime, prepare the filling. 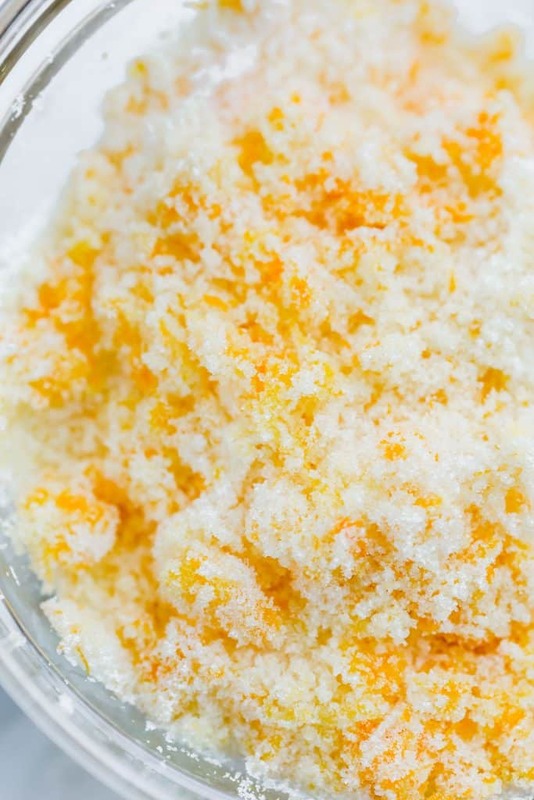 In a small bowl add the sugar, orange zest, and orange juice. Stir to combine. Preheat the oven to 400°F. 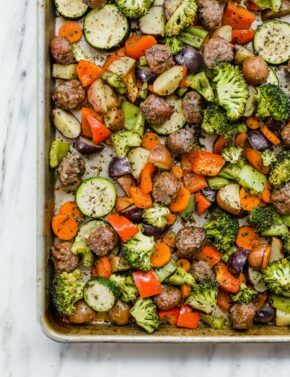 Place a silicone baking mat on a baking sheet. 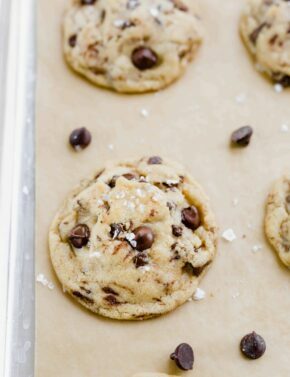 Or you can use parchment paper. Roll out dough on a greased countertop. (I lightly spray my counter top with cooking spray... I used Bakers Joy). Roll the dough into a 13 (or 14)"x18" rectangle. Using the back of a spoon, smear the softened butter over the top of the dough. Sprinkle the orange sugar filling evenly over the softened butter. Roll the dough up. Making sure to start rolling on the longer side, so that then resulting cinnamon roll measures 18" in length. Cut into 12 large rolls. * Place the rolls onto the prepared baking sheet. 3 rolls across, and 4 rolls down. Lightly cover the orange rolls and set them in a warm place to rise for 20 minutes. Bake for 20-24 minutes or until lightly golden brown on top, and cooked throughout. In the bowl of a stand mixer, or with a hand held mixer, beat the butter until smooth. Add the powdered sugar, orange zest, and orange juice. Beat until well incorporated. 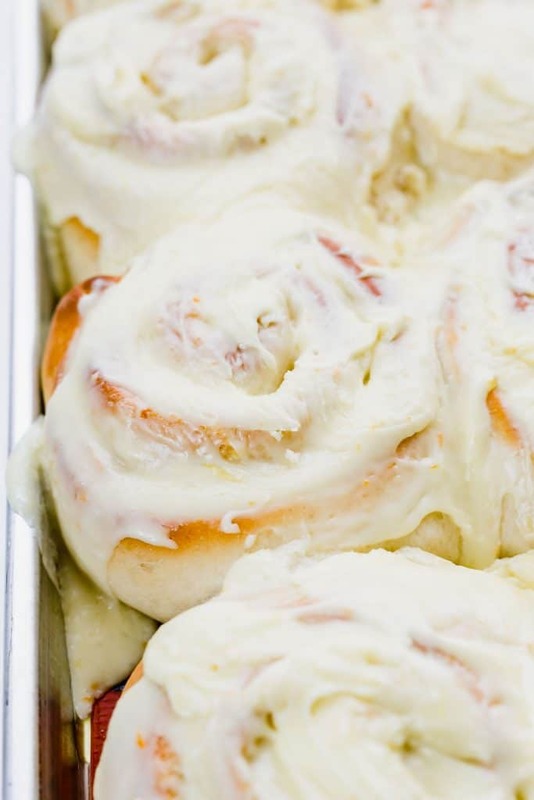 These rolls looks absolutely perfect and so delicious! 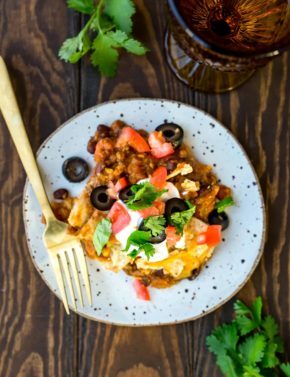 Such a great idea for weekend brunch! 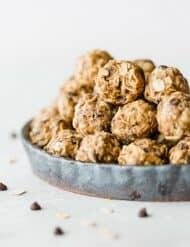 these look so delicious, would be perfect for breakfast! Can I invite myself to your house this Easter? Celeste! So sorry, it’s 2 eggs 🙂 Just updated the recipe card. Thanks for pointing that out!